In a medium bowl, whisk together yogurt and lemon juice; season with coarse salt and ground pepper. 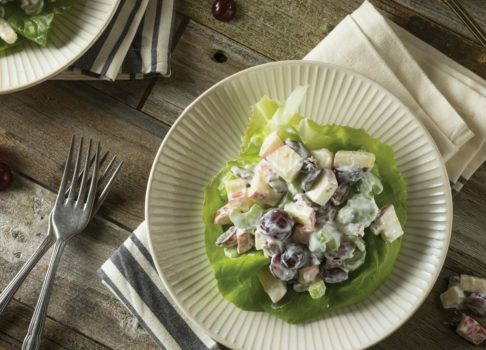 Add apple, celery, red seedless grapes, and toasted walnuts; toss to coat with dressing. Cover; refrigerate until ready to serve, up to overnight. Divide salad in half; serve each portion on 2 Boston lettuce leaves.